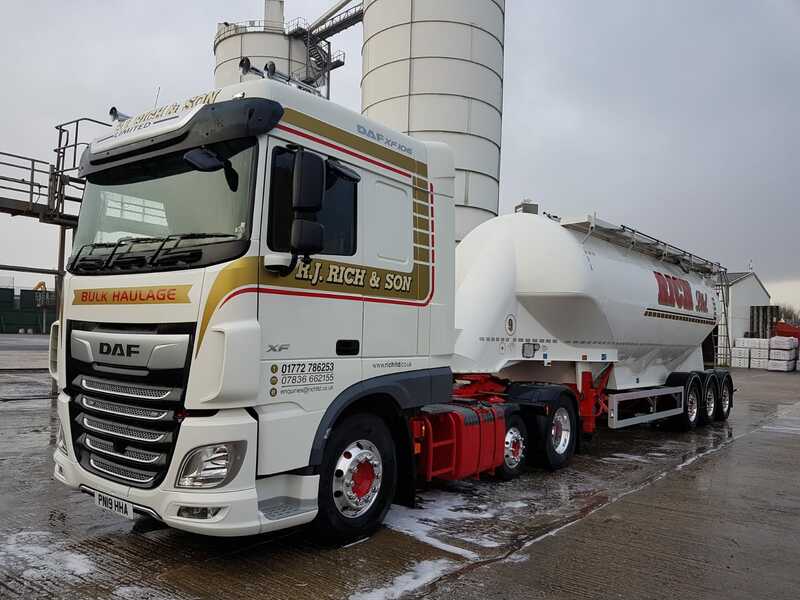 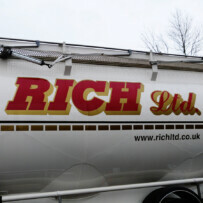 RJ Rich & Son Limited is a family run haulage firm offering an efficient and highly reliable nationwide Powder Tanker and TASCC haulage service. 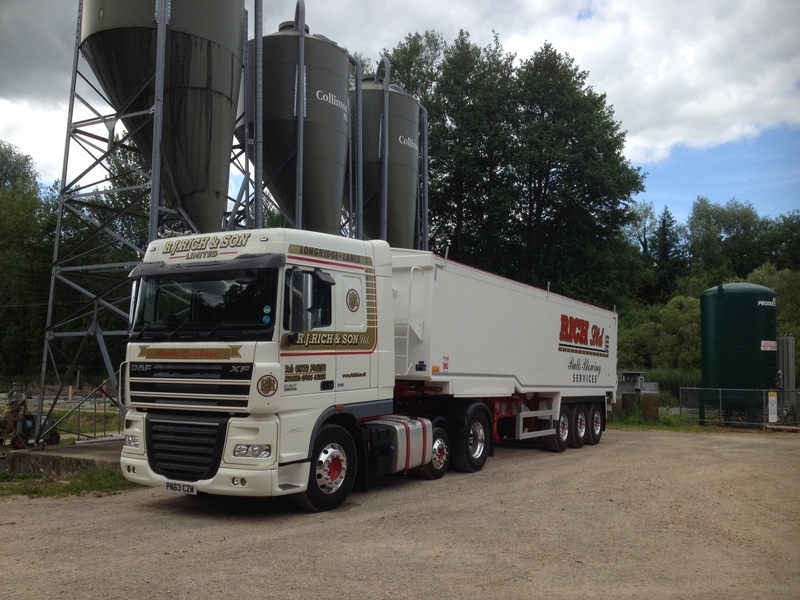 We have a modern fleet of 44 tonne vehicles with tip and non tip Feldbinder Tanks. 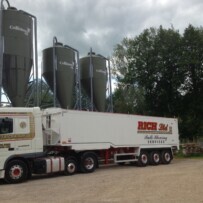 The vehicles are fitted with the latest blowers for noise reduction and efficiency. 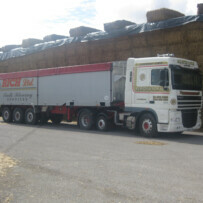 We currently have a small amount of tipping trailers and also have a bulk blower for the TASCC approved work. 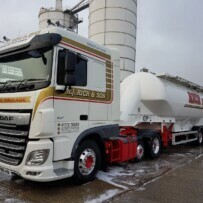 All the staff are fully trained in all aspects of tank and tipper procedures, and we offer a 7 day a week service, we are even known to work Christmas Day. 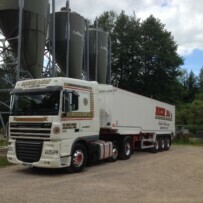 Our fleet of vehicles are also up to date with the latest tracking systems, to be able to monitor every journey. 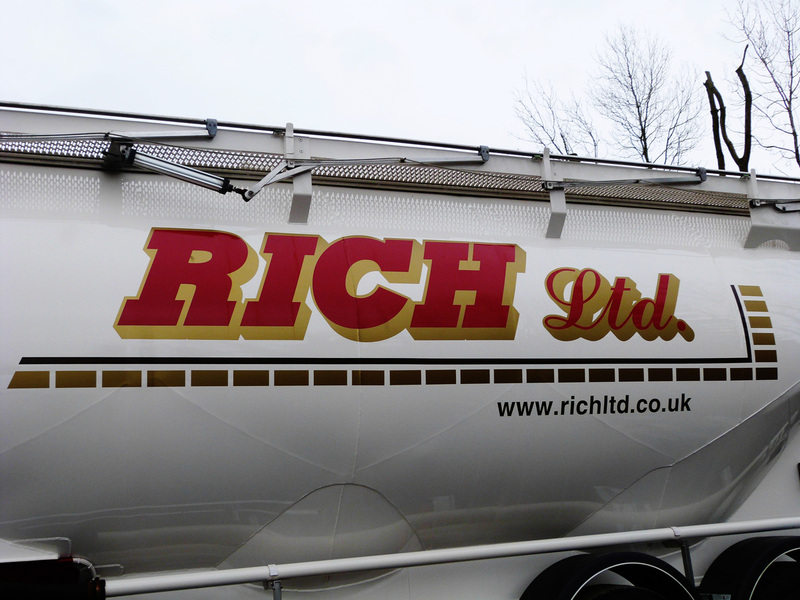 We have owner drivers and an excellent base of sub-contractors that work for ourselves. 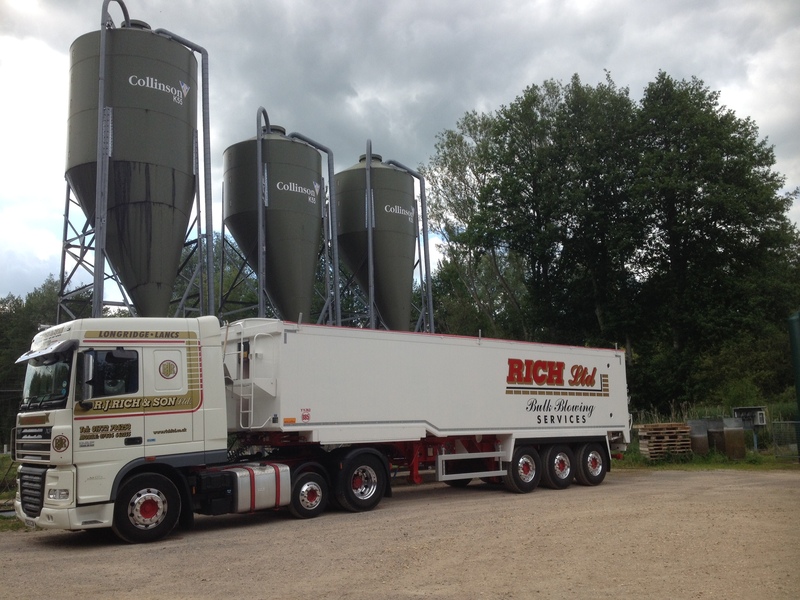 Rich’s are based in Lancashire, Gloucestershire and Portland, so we can cover the whole of the UK, being close to all major motorway networks for nationwide work. 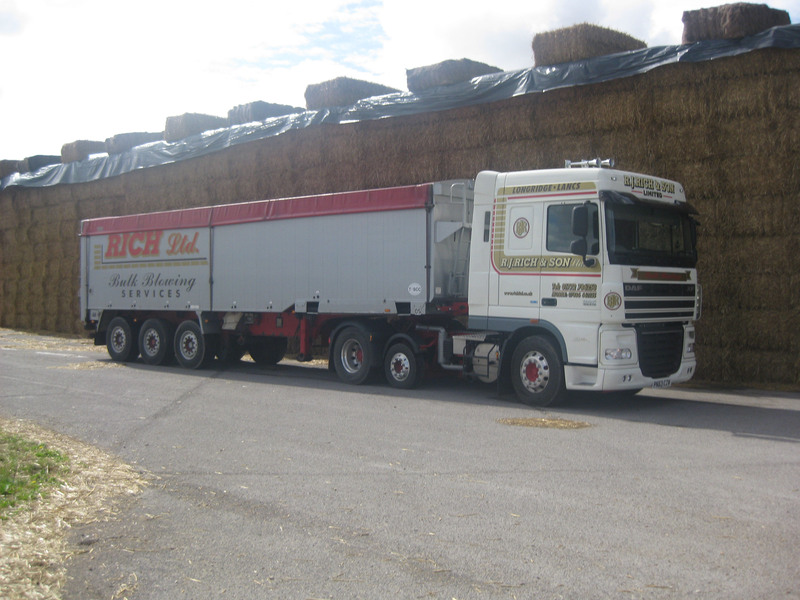 We also have a depot based at Sharpness Docks – Gloucester.